Last month, the Florida Democratic Party denounced Rick Scott for not signing a bipartisan letter to the Trump administration requesting to grant Temporary Protection Status (TPS) to Venezuelans in the United States, passively siding with Trump administration's anti-immigrant policy. As of today, Rick Scott continues to refuse to co-sponsor two major bills in the Senate that would grant Temporary Protection Status for Venezuelans in the United States and increase humanitarian aid to people in Venezuela. As the crisis in Venezuela continues to increase — with recent power and water outages affecting all cities — more Venezuelans are fleeing their country and looking for a better future in the United States. Requests for asylum by Venezuelans have increased in recent years, but Trump's hard stance on immigration has created a backlog on the asylum process, and an increase of Venezuelans detained and deported. Currently, two bipartisan bills addressing these issues are filed in the U.S. Senate, S. 636 "Venezuela Temporary Protected Status Act of 2019" and S.1025 "VERDAD Act", but Senator Rick Scott's name does not appear in the list of cosponsors. "This is not the first time Senator Scott has denied immigrants the chance to have a better life in our country. It is an embarrassment that Senator Scott doesn't fully understand the importance of giving immigrants the tools to flourish in our state by providing them and their families the protections they need to succeed," said FDP Spanish Spokesperson Luisana Pérez. 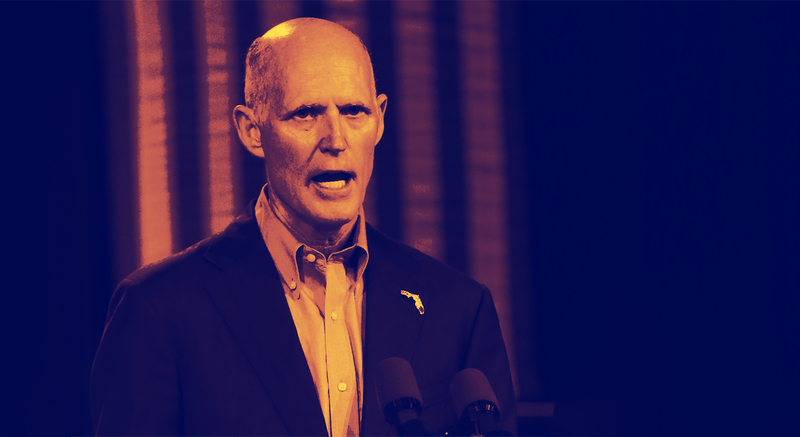 "Why is Rick Scott so scared of signing on to these bipartisan bills that would help Venezuelans in the U.S.? The clock is ticking, Senator. Venezuelans continue suffering the barbarism of the Maduro Regime and the time to help them is now."